Use: Upholstry, pillows, cushions, purses and bags etc. Beige furniture-jacquard with multicolored triangles. Tapestry for opholstry and pillows. Jacquard-woven furniture gobelin with motifs. Cerise furniture fabric with girafs. 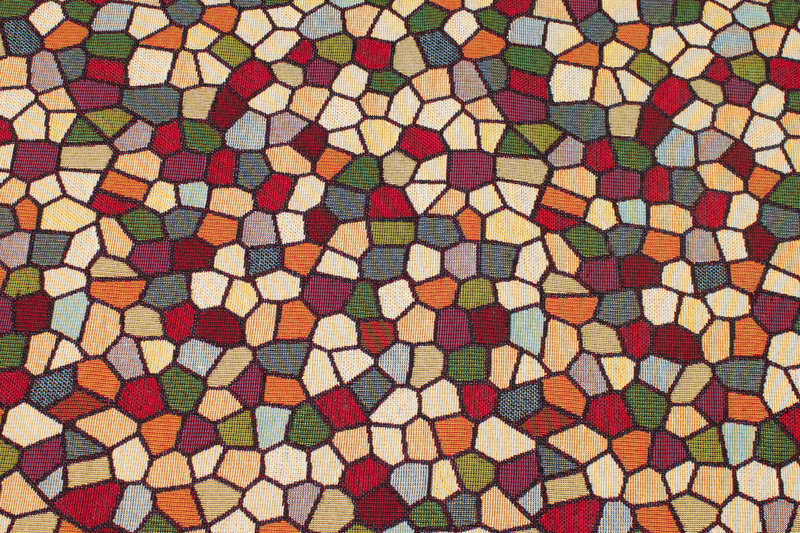 Beautiful opholstry fabric with graphical pattern in multicolors. Furniture gobelin with mini-checks in purple, green colors . Møbelgobelin with mini-checks in red, green colors . Beautiful black tapestry with colored tulips. Jacquard-woven furniture fabric with blue-green-turqoise checks. American rugged upholstry fabric, double-sided. Creme jacquardwoven gobelin with cartoon theme. White gobelin with beautiful book weave. Furniture fabric in creme color with tulips.